Hotel Management is one of the popular and trending education sector in today’s time. Thousands of students are aspiring and trying hard to make their career in hospitality industry. Students appearing in Senior Secondary exams (12th class), already starts preparing themselves to enter this industry. To get quality education and a great boost to career, students always look forward to get admission in top hotel management colleges and institute like IHMs (Institute of Hotel Management), state colleges etc. To look forward to the list of top IHMs in India, Institute of Hotel Management, Bangalore always makes up to this list. It is counted amongst the top IHMs of India because of its great quality of education and facilities offered by the institute. Holding a high repute in hospitality industry, IHM Bangalore came into existence in the year 1983. The journey of IHM Bangalore, started in the year 1969 as a Food Craft Institute offering short term courses. With the joint efforts of Government of Karnataka and Government of India, the Institute of Hotel Management, Bangalore was set up. The cosmopolitan composition of its institute’s students is one of the striking feature of IHM, Bangalore. The Institute of Hotel Management, Bangalore is spread across a wide area with well-equipped labs, spacious lecture halls, food production lab, advanced training kitchen, bakery, computer lab, library, training restaurants, automated laundry and many other facilities. For the admission in Bachelors course (B. Sc in Hospitality & Hotel Administration) at IHM, Bangalore, a student must possess Senior Secondary education (10+2) pass certificate or equivalent with English as their core subject. Students who have just appeared in 12th exams can also apply for admission on provisional basis. After completing Senior Secondary education, students need to appear in NCHM JEE (Joint Entrance Exam) for admission in IHM, Bangalore. After qualifying the exam of NCHM JEE, students need to appear in NCHM Counselling and seats are allotted to students based on their respective AIRs (All India Rankings) and reservation category. For the admission in Diploma courses at IHM Bangalore, a student must possess Senior Secondary education (10+2) pass certificate or equivalent with English as their core subject. The announcement of admission invitation is done in all leading newspaper of the country. Selection of students are done through a transparent selection process. For the admission in craftsmanship courses, a student must possess Higher Secondary education (10th class) pass certificate with English as a compulsory subject. Admission announcement is done in all leading as well as local newspapers of the country. Selections of students are done purely on the basis of merit and suitability. 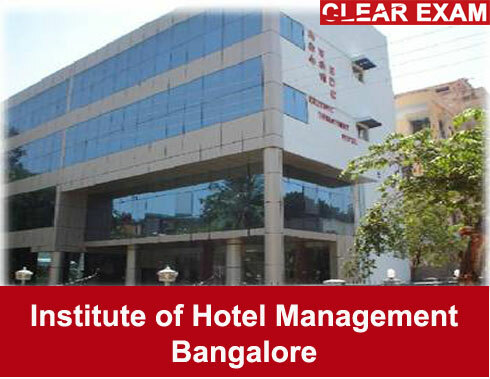 Institute of Hotel Management, Bangalore has high repute in terms of placements of students. Many students who passed out from this institute are placed in various reputed hotel chains like The ITC Group, Fern Hotels, Fortune Group, Hyatt, Leela, Lalit, Le Meridian and airlines like Jet Airways, Air India etc. For any more information or queries, students can visit the official website of the institute at http://www.ihmbangalore.kar.nic.in/index.asp . And for latest articles and updates about Hotel Management education courses, college and examination, read Success Mantra Hotel Management section.